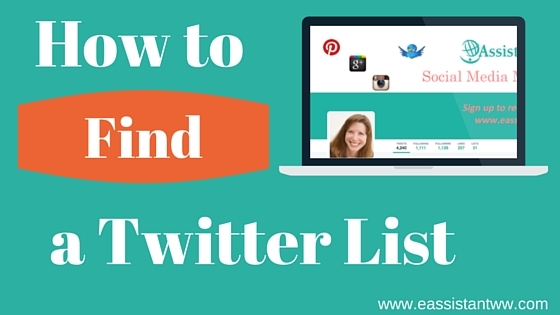 Share the post "Twitter Lists: How to Find Relevant Lists to Follow"
Twitter has over 300 million users. It is such a big social network and the tweets race by so quickly. It is hard to find people to connect with in Twitter if you are short on time. Yes, you can look for people that would be interesting to you with hashtags. You type in your hashtag and you start reading tweets. If you like one that sounds like a good fit, you go and check out that person’s profile. If you like the profile, you follow the person. Does that sound time consuming? Well, it is. A search with hashtags has its benefits, but if you want to find a lot of people that fit your target audience in a short amount of time, a hashtag search can be time consuming.